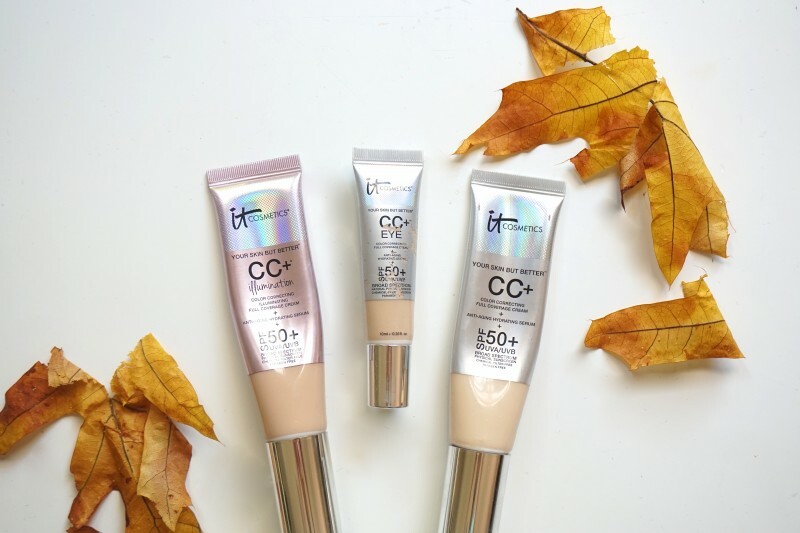 Recently It Cosmetics released two followup products to their best-selling Your Skin But Better CC Full Coverage Cream SPF 50 Foundation (whew- that’s a mouthful!) 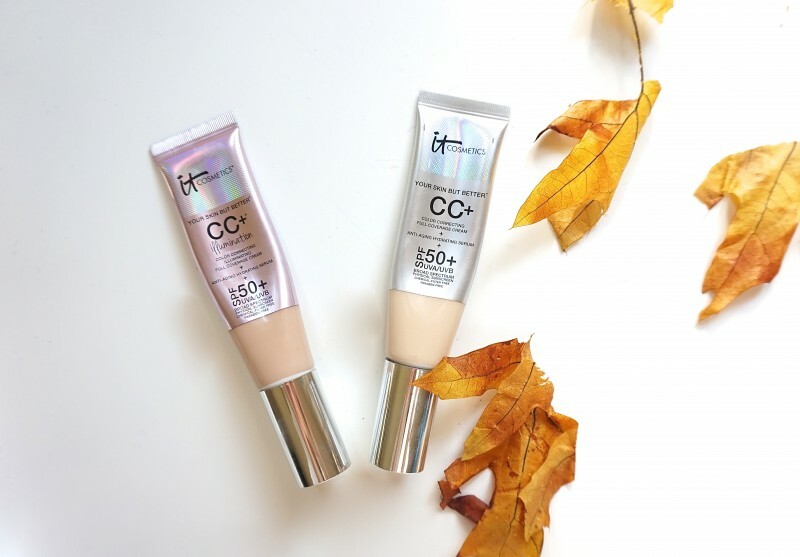 I have owned the original CC Cream for awhile, but recently I’ve been loving the new It Cosmetics CC Cream Illumination (a more shimmery version of the original), and also the CC Eye Full Coverage cream. I’ve been using these fantastic It Cosmetics very consistently lately, so I thought I would discuss the differences between these three products and give my recommendations. PS– as always I bought all three of these products with my own hard-earned money, so this post is in no way sponsored by It Cosmetics. Although I still love my cheapo Garnier BB Cream (full post about that here), lately I’ve been reaching for my new It Cosmetics CC Cream Illumination instead. It has several benefits over the Garnier– there’s no drying alcohol in it (unfortunately when you first put on the Garnier, it smells overwhelmingly like alcohol), and sometimes I feel like the Garnier is a little dry for around my eyes. Also the It Cosmetics has a high concentration of physical sunscreen– Titanium Dioxide 9.0% + Zinc Oxide 6.3% to provide broad spectrum physical protection (read my post here to make sure you understand the important difference between physical and chemical sunscreens), so that is a bonus when you’re at the pool or in the mountains where higher altitude means the sun is stronger. 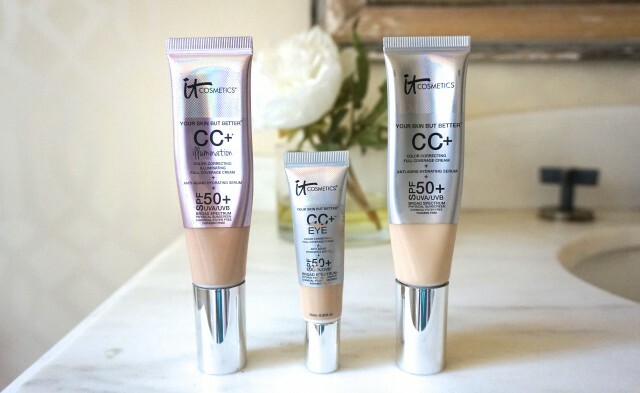 The It Cosmetics CC Cream is also more hydrating than other foundations or BB Creams I have tried. 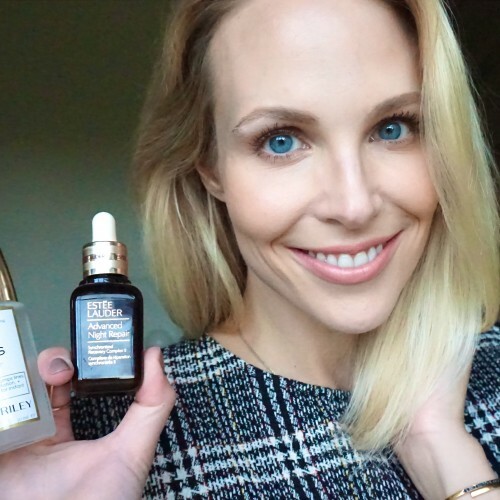 I really do think it has made a difference in the appearance of fine lines, especially toward the end of the day when I start to look dry around my eyes and those fine lines become more prominent. All the It Cosmetics CC Cream products contain Hyaluronic Acid, Peptides, Hydrolyzed Collagen and Silk, Grape Seed Oil to provide hydration benefits. Interestingly, I wear the Fair (lightest) shade in the original CC cream, but the Light (second lightest) shade in the Illumination version. The original CC cream in the Light shade reads a little orange or dark on my skin, but the shimmer that is in the Illumination version somehow helps match it to my skin tone better. People do complain that the shade range is not wide enough (there are five shades in each formulation), but I think each shade in the Illumination line varies slightly from the corresponding shade in the original formulation, so you have a few more options to find your match. 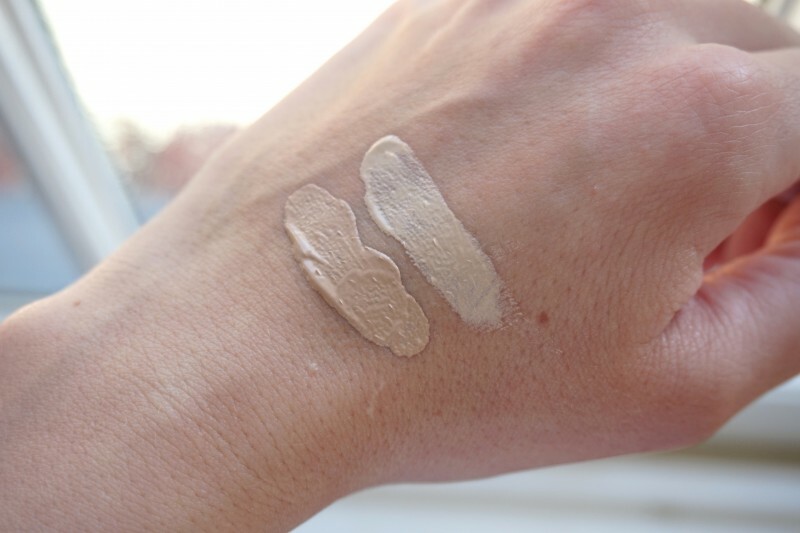 I’ve decided I prefer the Illumination version of the CC Cream over the original (non-shimmery) version, but it might just be because the color matches my skin better. 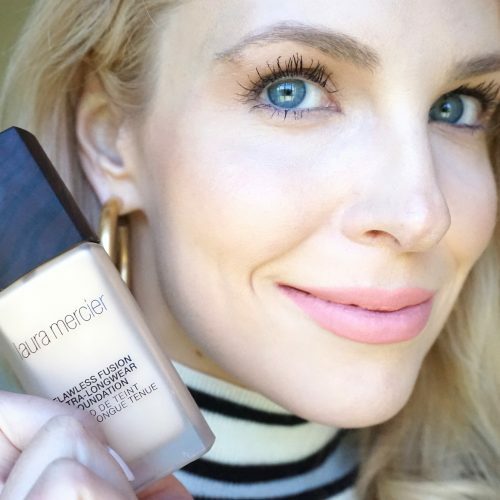 The Illumination version has a finish that is very similar to the Laura Mercier Tinted Moisturizer “Radiance.” When I use the Original CC Cream, I usually set it with Hourglass Ambient Light Powder in Ethereal Light to add a little bit of glow. But since the new CC Cream Illumination version is so shimmery by itself, I have been preferring to set it with matte It Cosmetics Bye Bye Pores Silk HD Anti-Aging Micro-Powder. Shimmer on shimmer can look fakey and exaggerate pore size. Also I’ve noticed that some bloggers say that they can’t tell a difference between the finishes of the two versions, but I disagree. I think the Illumination version is much more obviously glowy, but when you set the Illumination with the Bye Bye Pores, or set the Original with glowy Hourglass Ambient Light Powder, the finish ends up about the same. Now here are several views of me wearing the It Cosmetics CC Cream Illumination, with a little bronzer (Too Faced Endless Summer 16-hour Bronzer) and set with It Cosmetics Bye Bye Pores Silk HD Anti-Aging Micro-Powder. 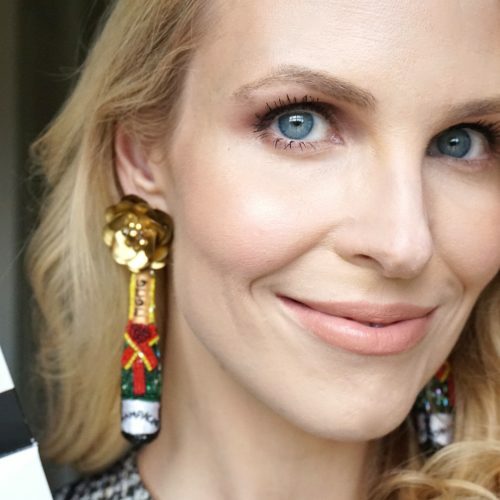 The CC Cream Illumination does an amazing job covering up discoloration and redness, and together with the Bye Bye Pores powder, it looks like my skin has been airbrushed! The powder makes a big difference in pore size, and definitely improves the wear time of the foundation. See that airbrushed look and fantastic glow?? You really don’t need a luminizer or highlight on your cheekbones if you use the CC Illumination– that glowy look that highlights your bone structure is already taken care of in one step! Here are two finished looks where I’m wearing the It Cosmetics CC Illumination– no Photoshop used, I promise! –You can use a foundation brush to apply, and some people think this method helps you use less product. But I prefer the look of it when I apply with my plain ol’ fingers. 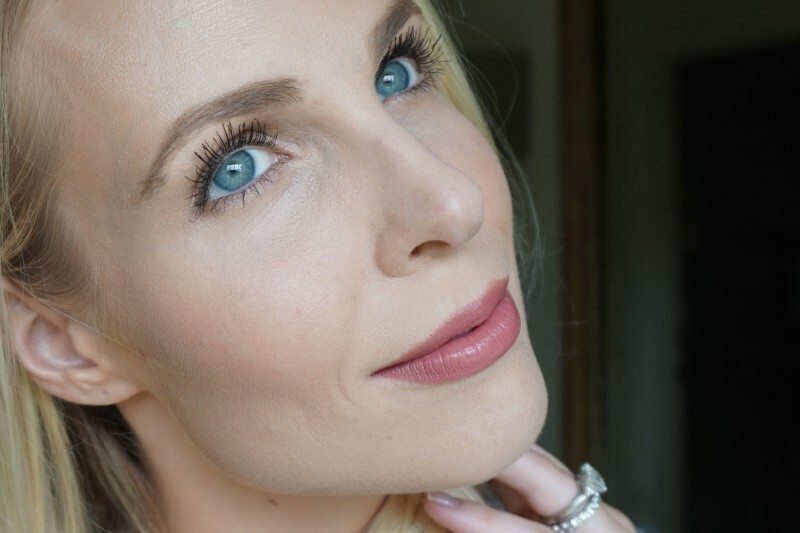 –Some bloggers recommend that you wear the CC Cream over a primer, but I think it looks better without a primer. The CC Cream actually has its own primer already built in, plus Anti-Aging Hydrating Serum (including Snail Secretion Filtrate, which is exactly what you think it is). I’ve found that if I layer a primer underneath it, it tends to sit on top of the skin a little more, and look less natural. –I recommend spraying your face with Urban Decay All Nighter Makeup Setting Spray to vastly extends the wear time of the It Cosmetics CC Cream. I used to use makeup setting spray only for special events, but when I realized what a difference it makes in keeping your makeup on, now I never leave home without a quick spritz. And if I get in the car and realize I forgot to spritz, I feel mildly panicky. It’s that effective. Oh, and what about the new It Cosmetics CC Eye? It touts the same 7-in-1 skincare benefits and physical SPF 50, but formulated for your eye area. This does not have as much coverage for under eye circles as a true concealer like Bye Bye Under Eye or my current favorite Nars Radiant Creamy Concealer. I also did not notice a significant decrease in puffiness from the “Cold Spoon Technology” applicator. But I do like this product and use it regularly because it brightens and smooths and moisturizes. 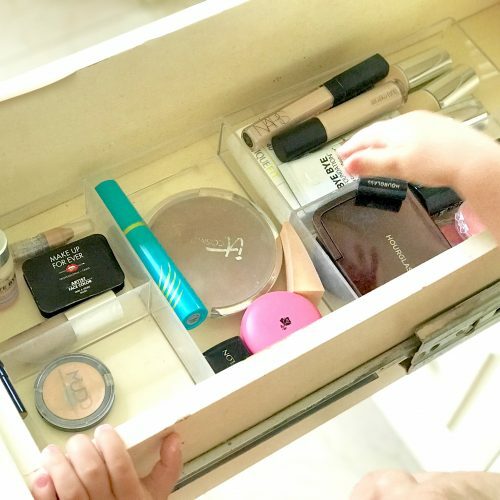 I actually don’t use it in conjunction with the It Cosmetics CC Cream Foundation– that would be redundant. But I do apply it in my eye area before I use my Garnier BB Cream (All Day Shine Control version). 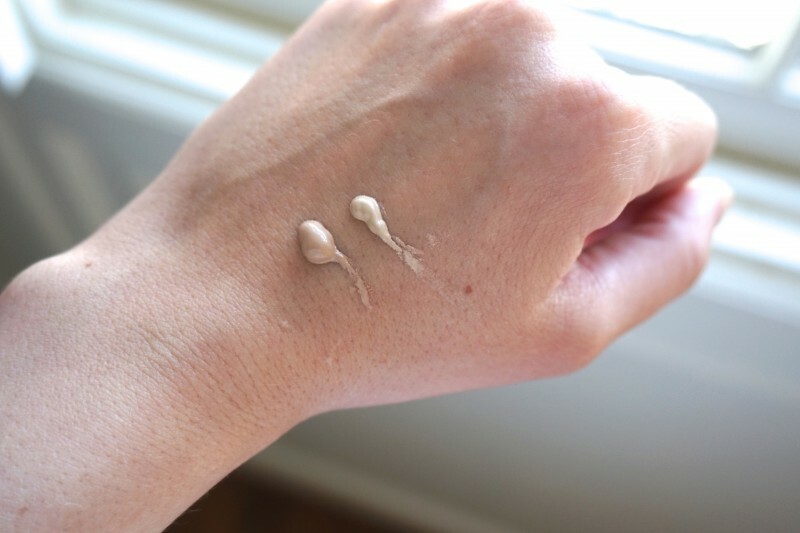 I love the finish and coverage of that BB cream, but I did notice that it was a little drying around my delicate eye area. Once I started layering the It Cosmetics CC Eye underneath, I had no problems and my eye area stayed moist and not crepey or fine-lines. So to me, if you have combo skin where you need to control oil on your t-zone, but you are dry around your eyes, the CC Eye is a game-changer. Hope that helps clear up the difference between these three amazing It Cosmetics CC products!